Africa is home to many iconic animals, and people flock from all corners of the globe to see and study these animals in their natural habitat. At first visitors are enthralled by the so called “big 5”, the usual suspects – one could say. formerly frothing, head swinging, beady eyed buffalo has now become the relaxed ruminant allowing vehicles and their occupants a close view for that perfect out of Africa sunset. Don’t get me wrong, any of the big five can quickly undergo a personality change if mistreated or by getting carelessly close on foot, all I am getting at is that the term big five is often the reason for visitors to Africa arriving with an expectation that is far less than Africa can offer . therapist or spa can attempt to recreate. These are the things that combine to make Africa unique. 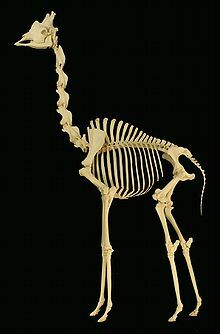 There is also an animal unique to Africa that can capture the imagination of many without adrenaline or blood lust, the Giraffe. Humans have always been fascinated by Giraffe, many etchings depicting giraffe are found throughout Africa proving that humans have been enthralled by Giraffe from the early stone-age. You will often hear guides comment on how their guests have calmed down and relaxed after their first drive. not affected by the business world and it stresses. Africa has a way to unknowingly force its visitors into this ancient rhythm, and an animal that in my opinion epitomizes this is the Giraffe. Giraffe evolved from a smaller horse like animal that frequented the forests. There are only two members of the Giraffe family in existence today, the giraffe and the Okapi that occurs in the rain forests of central Africa and surprisingly was only described in 1901. 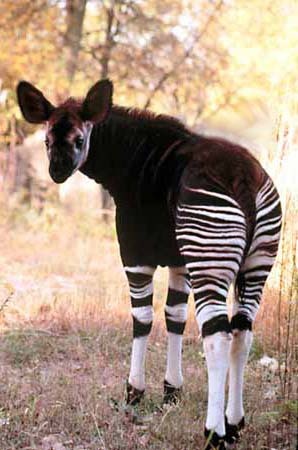 The Okapi is also very similar looking to the giraffes’ forest dwelling ancestors. The giraffe is an engineering marvel and has many fascinating traits to deal with it’s at times cumbersome height. 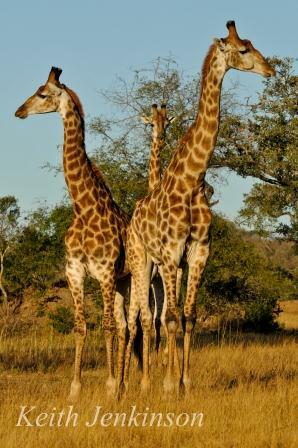 The reason for it evolving into the World’s tallest mammal and largest ruminant is simple, it is socially aloof and likes things to itself, it has thus evolved to be the tallest animal in Africa that has a band of approximately two meters of leaves mostly to itself, mostly only because they share with elephants at this level. Exclusivity comes at a price though, having your head in the clouds means your heart needs to work extremely hard to fuel the brain with blood, a giraffes heart is about 60 centimetres (2 feet) long and can weigh up to ten kilograms. This heart is so powerful that the arteries split into a delta of elastic vessels that bring the blood pressure down before damaging the fine capillaries in the brain. This system is called a Rete mirable and is also found in many other ruminants, another function of the delta of vessels is to transfer heat to intertwined blood vessels not flowing to the brain, a kind of biological radiator. surface area means more heat can be radiated from the brain! Weight and the distribution thereof is yet another challenge for giraffe, a giraffe bull can weigh more than a ton, and that on stilts. As a result giraffe have only two gaits a sauntering walk and a gallop. When a giraffe is walking the right and left legs work in unison unlike the scissor like action of other ungulates. This swagger largely contributes to the animals well documented grace. When in a gallop the front legs and back legs kick and push together in long strides that look slow but due to leverage propel the animal forward in excess of 50km/h. It is speculated that the Genus and common English name “Giraffe” was derived from an Arabic word Zirapha that translates to moving with haste or walking swiftly. The weight of the head and neck has also led so some interesting physical adaptions. The head and vertebrae are very dense and heavy and as you can see in the image, Giraffe have only 7 vertebrae in the neck, the same amount as a human. A giraffe has a very strong tendon that runs below the skin on the back of the neck, this tendon is under constant strain as it short and wide thus being able to hold up the neck and head automatically. A giraffe has to strain to drop its head but the weight of the head and neck put stain on the tendon and keeps the head and neck up an a natural position with little to no energy being wasted. Giraffe have phenomenal eyesight, together with their height this makes them the periscopes of the bushveld, many animals such as Impala and Zebra will associate with giraffe as they rely on the giraffe to spot predators at a distance. 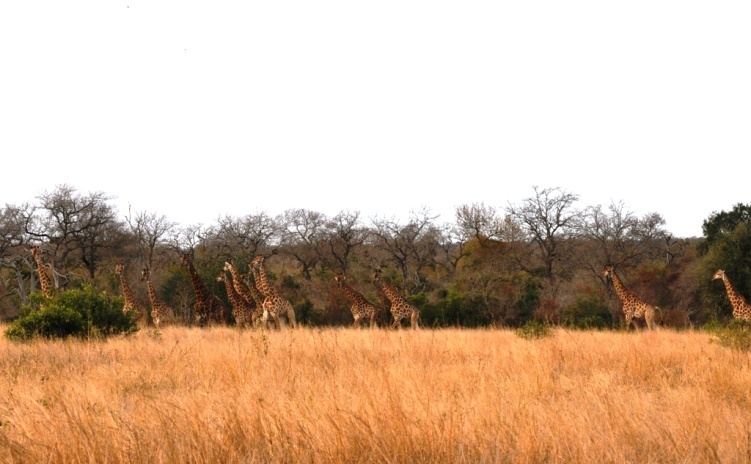 Rangers often also use giraffe as sentries as a group of giraffe staring intently in the same direction is often and indication of the whereabouts of a predator. 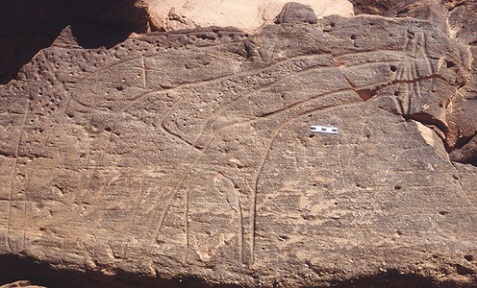 There is actually and Egyptian hieroglyph that depicts a giraffe, it is said to signify a prophecy or future vision, this most probably due to the animals astounding eyesight. surprisingly close if approached correctly. These graceful turrets often complete a day’s game viewing.